Louise Erdrich: "The Red Convertible," "Saint Marie," and "Satan: Highjacker of a Planet"
Like Bobby Mitchell's story, "Entry Wounds," or whatever he may end up calling it, pays a lot of attention to a box, Erdrich's first story, also about a soldier, takes as its first focus a car. Strange, that a car is a container, too, a kind of box. Anyway, we can think of this symbol-driven narrative as a type of a story, although I don't know if it is ever classified by theorists as such: a story whose world turns on the axis of a single material object. In this trio of first-person stories chosen by Brady Udall, we can marvel at Erdrich's range of voice, certainly. How different is Lyman from Marie, and from the unnamed girl who sees pictures. 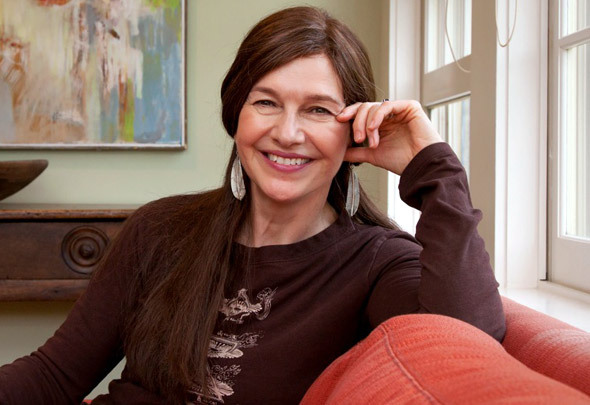 We might also notice how Erdrich wields the world of objects differently in each story. In "The Red Convertible," there is the car and willow tree and hair and chair and picture and river, and they're all as alive as the brother characters, perhaps even more so, yet they're still confined to something we might call realism. In "Saint Marie," the material world is upended, the line between reality and mysticism is gone, and Erdrich has announced her intentions right in the first paragraph: the dark fish must rise, and toenails are little pink ocean shells. In "Satan: Hijacker of a Planet," the object world entwines with language, and, forgive me, but it's a lot like spinning, dizzily, the way the girl is when she enters her pictures, hijacked, the planet turning, and "You are locked in, twisted close, braided, born" (508). In this last story, we encounter not a symbolic world, nor a narrator who confuses the world, but a narrator for whom the world can be perceived as composed of language: "The words are inside and outside of me, hanging in the air like small pottery triangles, broken and curved" (506). Each of these methods is so distinct, so powerful in its own way! 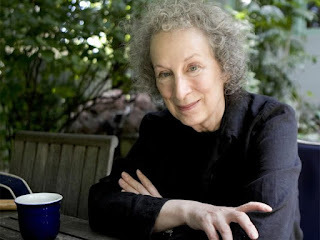 Margaret Atwood: "Happy Endings," "Wilderness Tips," and "True Trash"
Starting our conversation with Margaret Atwood feels like going to Olympus to gossip about Hera. God, it's audacious. But with Negotiating with the Dead in our hands, we feel brave. After all, Atwood addresses the anxious, the innocent, and the blindfolded, and she addresses desire, our desire. In the three stories published in 3x33, I like what Percival Everett points out in his introduction: that Atwood is exploring the "'nature' of story" and the "business of making story." There is traditional plot and character, and plenty of it, in these tales...John and Mary feel real, if Protean...George and the sisters are at turns threatening and pathetic...Ronette is faced with an all-too-familiar serious issue...but when we slow down and think, really think, we see the whole question of story coming at us like a Mack truck on a highway, and us stalled in the center lane. Atwood gets us on the highway--makes us involved--and then she pulls a move that is almost impossible, it's like one of those bullet-time film sequences that allows us to see the truck from multiple angles and still be in danger, and then the truck stops, and we're still in the middle of the road, and we're okay. Or, the truck has moved on past us, and we're okay. Sort of. We're looking backwards, and then forwards, and then backwards again, and we're wondering what we're supposed to do now.